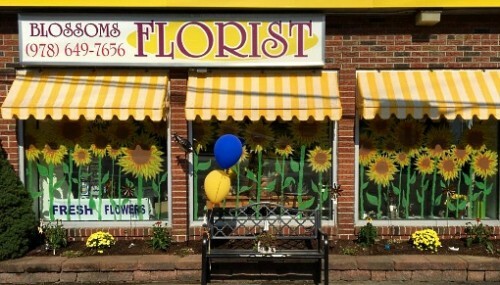 Blossoms is a full-service florist and gift shop serving Tyngsboro, Westford, Chelmsford, Lowell, Dracut, Groton and Dunstable Massachusetts since 1996. 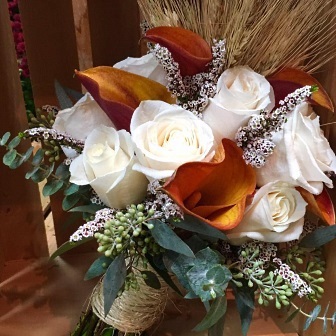 Our talented designers create beautiful floral arrangements for all occasions from sympathy, weddings, anniversaries, birthdays, get well and just because. 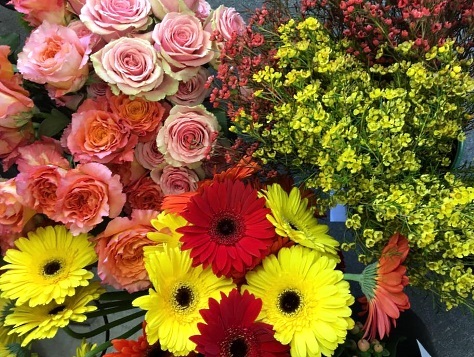 It is our goal to provide the freshest flowers with a creative flair for every palette and budget. We hope you enjoy your online shopping experience with secure 24-hour ordering right at your fingertips. If preferred, you may call us to place orders direct at 978-649-7656. 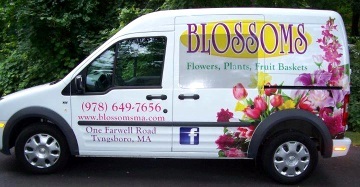 We also deliver daily to all local funeral homes and hospitals. Unique gift ideas for any age or gender ~ Ask about our delicious gourmet and fruit baskets or a personalized gift basket. We also offer a vast selection of lush green plants, European dish gardens, balloons, plush stuffed animals, greeting cards, chocolate, scented candles, swags, wreaths and silk arrangements. Our shop is open Monday through Friday 9am - 5pm, Saturday 10am - 2pm. We are closed on Sundays, except for wedding and funeral delivery.